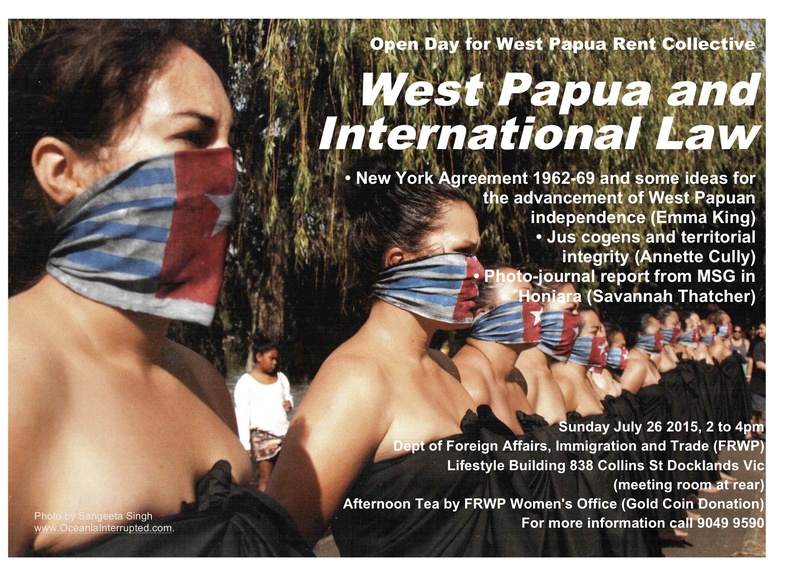 WEST PAPUA AND THE INTERNATIONAL LAW: WHERE TO NOW WE’RE A MEMBER OF THE MELANESIAN SPEARHEAD GROUP? ANDREW JOHNSON Is West Papua still a UN Trust Territory? EMMA KING has a legal-studies background and has been a social-justice/human rights activist for twenty-five years, primarily in Darwin, but lately from Castlemaine. ANNETTE CULLEY has been a librarian since she was seventeen, working at the Aeronatauical Research Laboratory in Fishmerman’s Bend, the State Electricity Commission’s Herman Research Laboratory, and Caritas Christie Hospice. Her interest in West Papua was sparked by her reading of The People of the Valley by Wyn Sargent forty years ago. SAVANNAH THATCHER recently graduated from Monash University with a Bachelor of Journalism, and works in media production. She has just returned from Honiara where she covered the Melanesian Spearhead Group Summit. JACOB RUMBIAK is the Minister for Foreign Affairs (FRWP). He has just returned from the Melanesia Spearhead Group Summit in the Solomon Islands, where as an Executive of the United Liberation Movement for West Papua he oversaw West Papua accorded diplomatic status in the international arena. From Oceania Interrupted’s ‘Empowering Collective Action’ series. 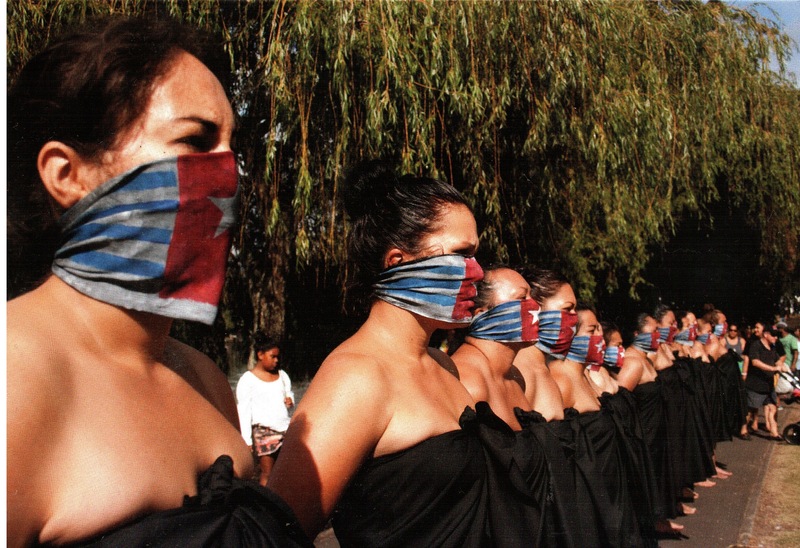 (Oceania Interrupted is an Auckland-based collective of Maori and Pacific women committed to undertaking public interventions to raise awareness about issues that affect Pacific Islanders, including West Papua’s struggle for independence).